That's right, Mommy. I'm taking my easy up here on the Superhighway today. And you can stop it now with that clickety camera shutter, too. Seriouslies! 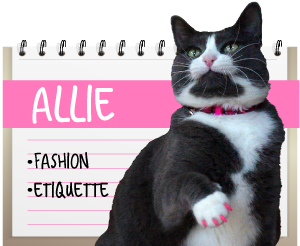 Lots of people have asked us where Allie got her driver's license. 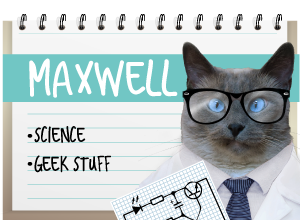 It came from MyPetDMV.com - as did Maxwell's and Faraday's. Can you guess which one has the "no catnip while driving" restriction? 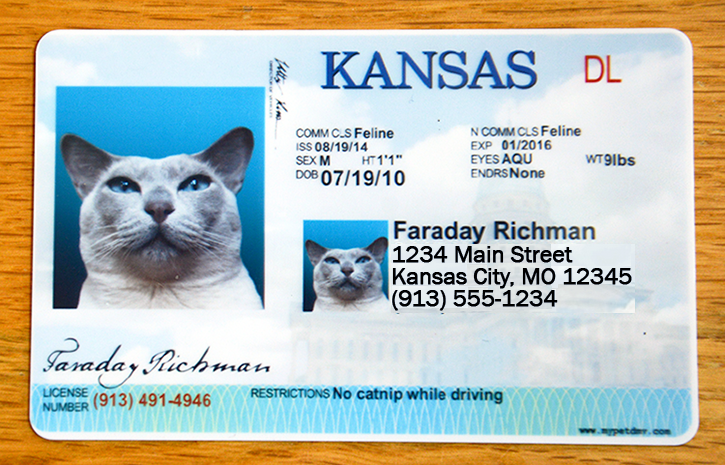 Loving that cat driver's license. I want one too. Oh we have two driver's licenses for each of our boys! I have blogged about them in the past. One is from the same place as yours, can't remember where we got the other one. Aren't they fun? Cute! (that goes for the drivers license and Faraday!). 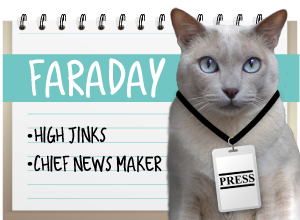 Faraday you look so cute :) Please visit us at 15andmeowing for a contest to win catnip pumpkins. Drivers license. More like you need a pilot's one Faraday. Have a serene easy Sunday. Hmmm, don't let AbbyGoat see that or she will want to drive. Cool that you all have driving licence ! Don't go too fast now Faraday! My human says I have to be at least a year old before I get one of those. Hmph. What cute fotos. Enjoy yous high up Sunday and be Blest. Weez got a Service animal I.D. fwum them. They be cheaper than da org. dat weez certified fwu. You kitties love to be up high and look down on all other creatures, don't you. My kitties do the same thing. We definitely have to have a driver's license! Thanks for the info! What a great place to get your easy on, Faraday. Did you Mom have to climb up on something to get that great pic? We kittehz like it when the humans have to work hard to get good pics. HahaMeow! You look so majestic up there, Faraday! Mom says I can't have a driver license until I learn to walk on a leash. Is that supposed to be some kind of incentive? Sheesh. Continue relaxing! Looking good up there. Love the licenses. A great choice for your Sunday Easy location. And I agree, the humans can get a bit annoying with the clicky box. At least my mom usually remembers to turn the flash off. You can't escape the flashy box even when you are way up there Faraday. Okay, now you have your license, and I've got a guest room and an excess of wand toys, I'll be waiting..
Faraday, you found a great spot to get your easy on. And your driver's license picture...kinda looks like a mug shot! MOL! That is a great Easy perch Faraday! Now for the license...No Nip??? WTC??? Your license picture is nice, too, Faraday! The Connecticut DMV pictures never come out nicely. Hmmph. Hope you had fun up there! You never know who might be plotting.